Jason Waithe, an instructor for Fusion, shot this pic and sent it in. 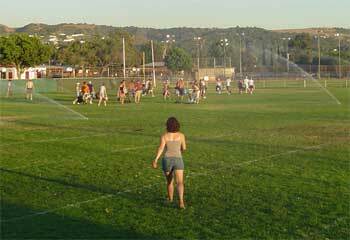 "This is the horn line making a break for it after the sprinklers turned on in West Covina, Calif. This wasn't the only time this summer it happened either. 'Just drink more water you'll be fine,' we told them." Thanks Jason!